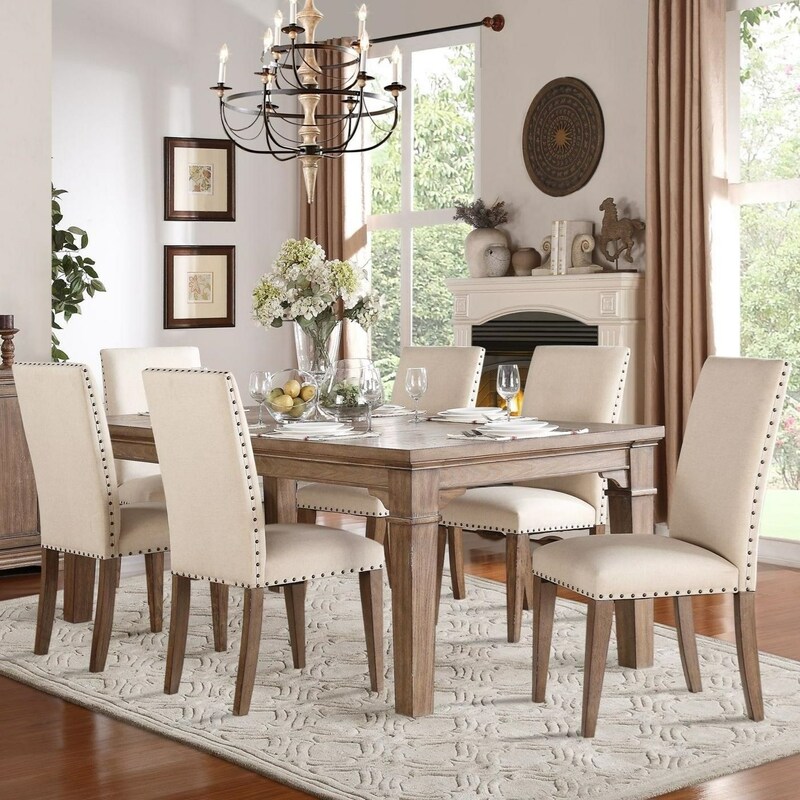 A uniquely beautiful weathered wash finish combines with a timeless design to create this relaxed vintage style dining table and chair set. 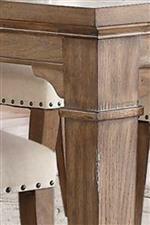 Each of the sturdy wood block legs shows off a ringed section below braces that add a transitional flair to the piece. The tabletop can be expanded with an 18-inch leaf when you need additional dining space for dinner guests or left without the leaf for day to to day use. 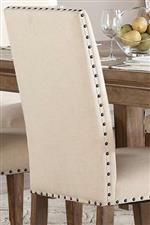 Neutral tone upholstered chairs add to the style of the set with intricate nailhead trim while the upholstered seat and seat backs provides you and your guests with comfort. 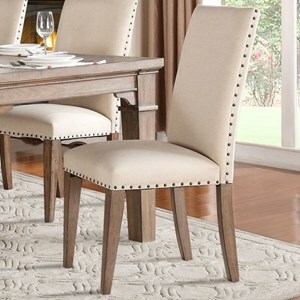 The Mill Valley Relaxed Vintage Dining Table and Chair Set with Nailhead Trim on Chairs by Homelegance at Value City Furniture in the New Jersey, NJ, Staten Island, Hoboken area. Product availability may vary. Contact us for the most current availability on this product. 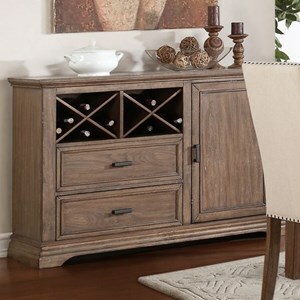 The Mill Valley collection is a great option if you are looking for Relaxed Vintage Transitional furniture in the New Jersey, NJ, Staten Island, Hoboken area. 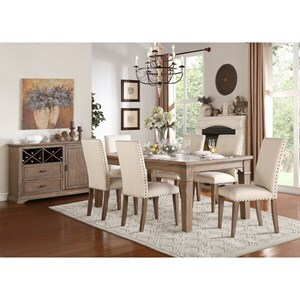 Browse other items in the Mill Valley collection from Value City Furniture in the New Jersey, NJ, Staten Island, Hoboken area.